Twenty-nine guests attended the Children’s Tea at the Highland House Museum on April 14, 2019. Sponsored by the Highland County Historical Society, the Children’s Tea is an annual spring event. 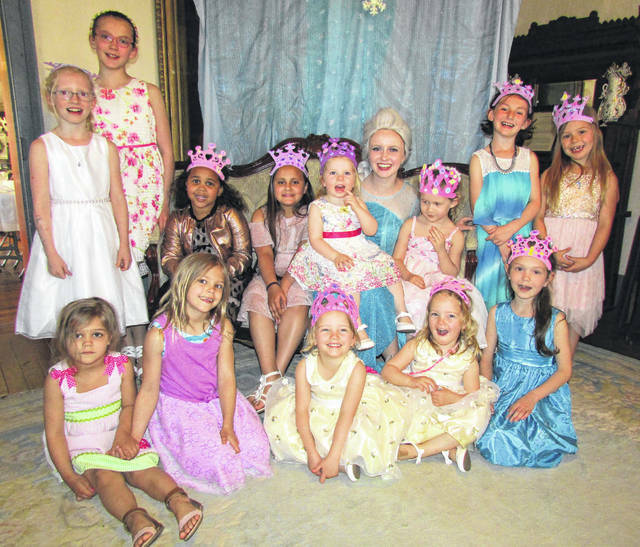 This year the children were honored by a visit from the Snow Queen. She entertained the children by playing a game called Hide the Wand. She also read them a story about Elsa and her sister, and hosted a craft-making project. Photos were taken with the Snow Queen and each child will receive their own photo memory of the event. Refreshments were served and included fresh vegetable sticks, orange slices, strawberries, cucumber sandwiches, a variety of fresh baked sweets and peach tea. Hostesses for the event were D’Anne Bradds Sweet, Sharon Swearingen, Cathe Chaney, Liz Odland and Brenda Bradds. Next year’s theme will center around dolls and may include a visit from Raggedy Ann.